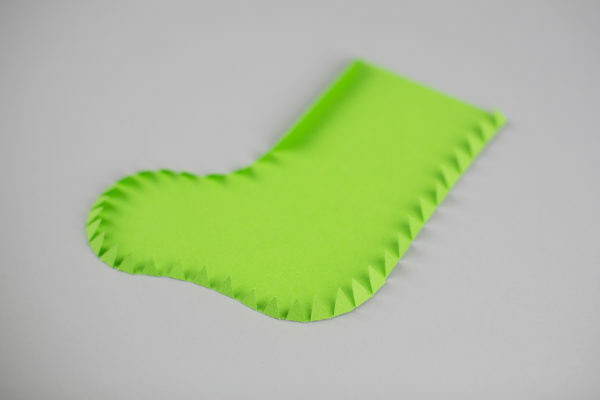 Today we’re going to show you how you can create this stocking pocket that is perfect for handing out holiday treats. The best part is that it’s so simple to make. Follow along if you’d like to see how you can make your own. 1. 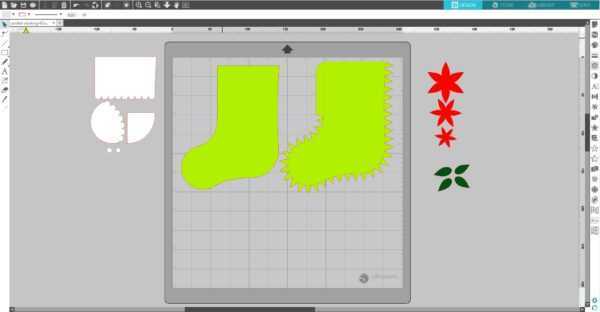 Download the 3D Stocking Pocket design (Design ID #282052) from the Silhouette Design Store. Open it in Silhouette Studio® by locating it in your Library. 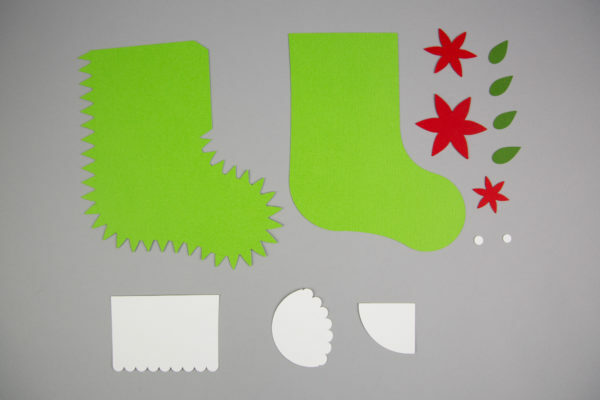 Place the pocket parts (the green stocking parts) on the cutting area. 2. 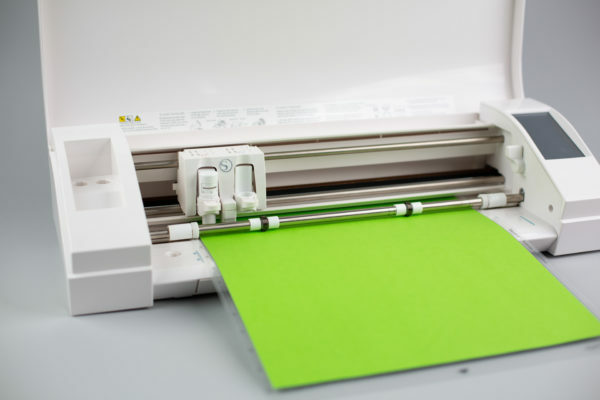 Place a sheet of light green cardstock on the cutting mat and feed it into your Silhouette machine. 4. Move that group away from the cutting area and repeat the same process with the other group and different cardstock. 1. Glue white parts on the top part of the stocking. and glue the top part on to assemble the pocket. 3. 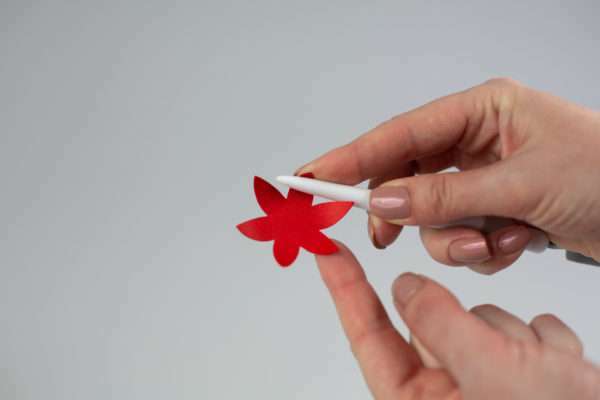 Curl the flower pedals using a pen or spatula. 4. 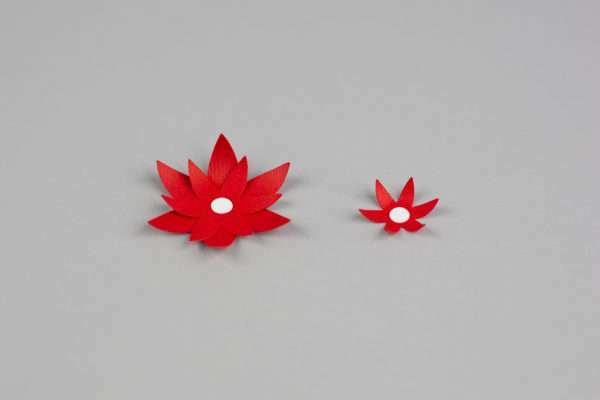 Glue the flower layers together and add the white centers to the flowers. 5. 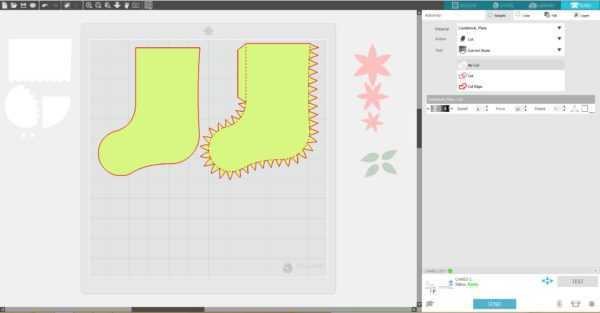 Glue the flower leaves on the pocket and then add the flowers to the stocking. Now our project is ready! This is an easy-to-assemble pocket that is great for treats! 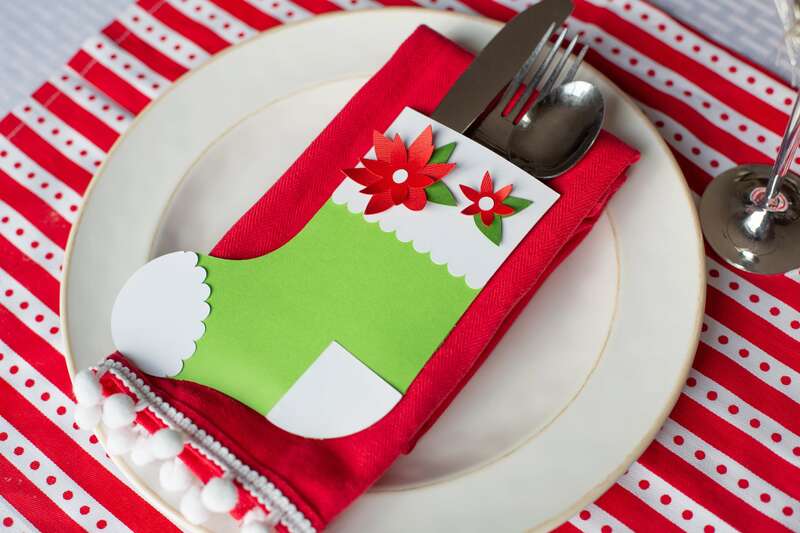 You can also use this as a table setting, put silverware in the pocket, and write the guest’s name on the front of the stocking!